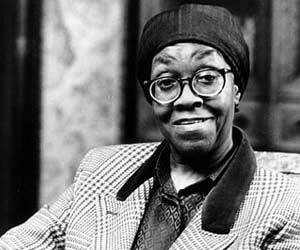 Gwendolyn Brooks, the late Pulitzer Prize-winning poet, became a legend not only because of her writing, but also because of her selfless efforts to give back to the Chicago community, and now the community returns the favor. In honor of her writing as well as her continual encouragement to aspiring writers, the Guild Literary Complex, Third World Press and The American Writers’ Museum will be sponsoring Brooksday, a marathon reading of Brooks’ work on June 7, from 9am-7:30pm. A collection of about seventy readers, including community leaders, high-school students and well-known writers, will spend eleven hours reading her work at the Chicago Cultural Center. The first segment of Brooksday reflects Brooks’ encouragement; the day will begin with readings from her children’s poems followed by a teen hour when high-school groups will read. The day then progresses to other readings by community leaders and writers such as Michelle Boone, Commissioner of the City of Chicago’s Department of Cultural Affairs and Special Events, and author Rick Kogan. June 7, 9am to 7:30pm, Chicago Cultural Center, 78 East Washington.